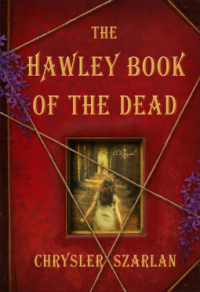 The Hawley Book of the Dead: A Novel - "A Single Word ... "
Magic, Mystery and Mayhem are wonderful bed fellows in this heady new book series from author Chrysler Szanlan!!! It grabs your hand, leading you in and keep you wanting for more from the first page to the end. Run don't walk to your favorite book store, library or other place that you can purchase your books. I hereby give this book 4.75 stars out of 5 stars.